Secure an HDMI cable to five adapters with the DigitaLinx DL-AR413 Secure Adapter Ring from Liberty AV Solutions. 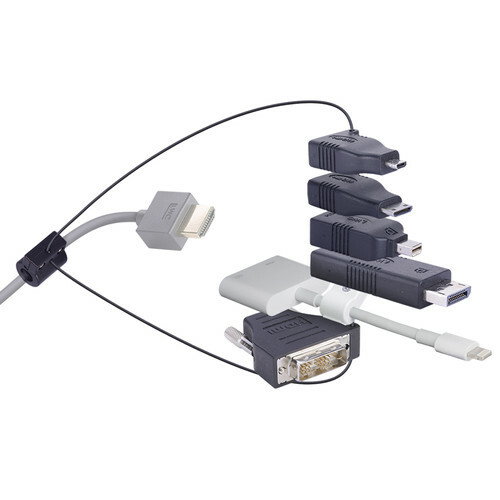 This adapter ring is designed to secure five adapters to an HDMI cable (sold separately). Included are adapters for DisplayPort, mini-HDMI, Lightning, and DVI-D connectors. A security clamp designed for Apple dongles is also included. Box Dimensions (LxWxH) 5.8 x 5.7 x 2.25"